About Us - Totally Thomas Inc. Totally Thomas' Toy Depot is San Diego North County's premier toy store featuring a large assortment of classic and creative toys for all ages. 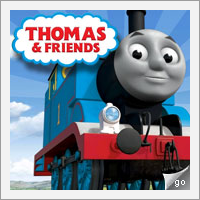 Established in 1992, we are famous for our huge selection of Thomas the Tank Engine & Friends trains, toys, and accessories. Our extensive selection of specialty and developmental toys is sure to delight the most discriminating toy buyer.